I can not think of a better combo than Tim Burton and Johnny Depp to make this film. This looks absolutely classic! This from Engadget. Check that link for more, including video. This is a fine example of ingenious technical know-how at play. The video speaks for itself, but if you're looking for a reason to watch... think about how easy your life would be if you never needed to carry house keys again. 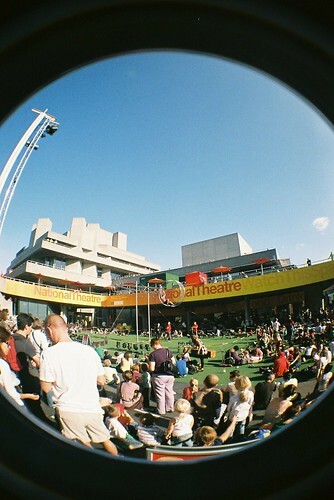 Using a recently acquired lomography fisheye fixed lens camera, I had a bit of fun on and around London's Southbank taking these shots. 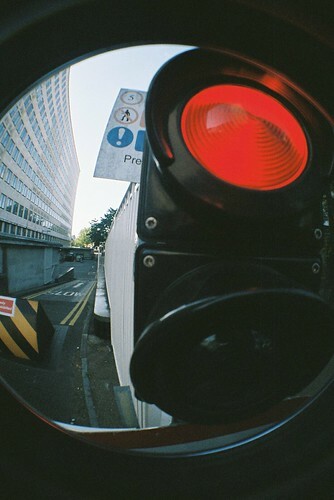 If you have any fisheye photographs of your own (or that you've mysteriously found), I'd love to check it out and link to it here -- so please drop me a comment or an email (digitallyunlimited at gmail). This is some impressive architectural work. I found this first example on Daily Tonic, a site dedicated to design and architecture (two topics of great inspiration to me). The firm responsible for the design of this masterpiece is formodesign, a Polish architectural company. This fine example of amphibious architecture reminded me of what has been done in Holland where rising water levels are a constant problem in some parts. This comes from inhabitat (where you can see more photos). So what other examples of this type of architecture are there out there? With rising tidal levels, linked to global warming, floating / water-bound houses may become a necessity, rather than just a curiosity. And of course, what better place to have a house on water, than in Venice -- the city on the water! 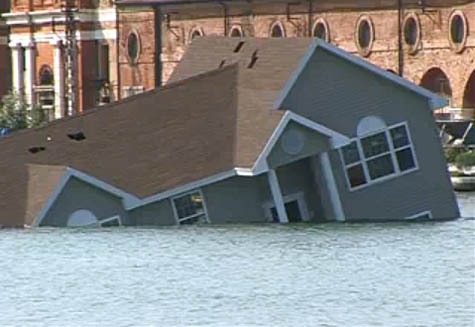 The infallible BLDGBLOG had this piece on an American project to put a normal bungalow on the water in Venice. Watch the video of the life and death of the house here (embedding of the video has sadly been disabled by the producer). 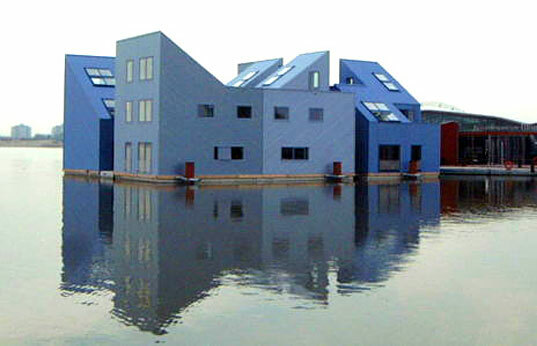 Do you know of any other examples of houses on water? Give me a shout in the comments. As part of London Design Museum's Super Contemporary exhibition, Ross Phillips has designed an interactive installation called Head to Toe. 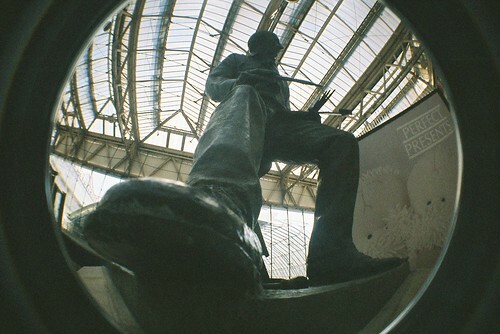 "Four pods around London take short videos of the heads, bodies or legs of the people standing in front." You can then do the switcheroo on each of these body parts to create your own London being. 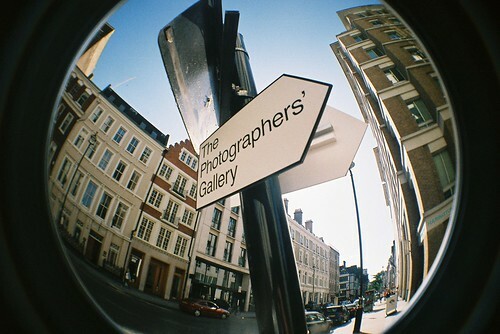 You can find out all about the rest of Super Contemporary at the official website. 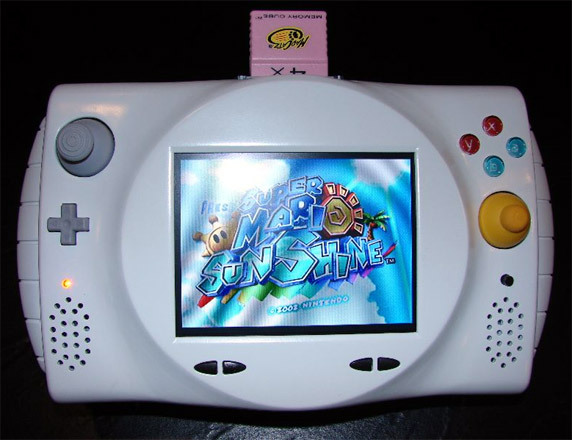 A genius in Spain who calls himself Pocket Lucho has come up with mini-arcade consoles of neo-geo classic games. Check engadget for the full story -- or el otrolado forum en español. 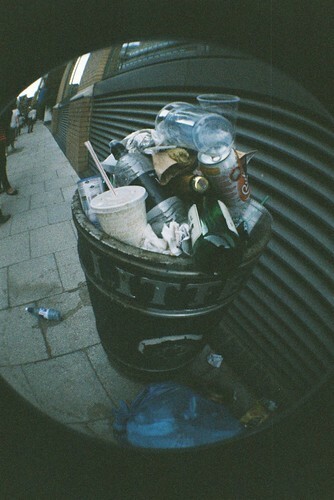 Fisheye photography produces some crazy, eye-catching results. The technique is normally performed with a 180-degree field of view, providing a hemisphere perspective. 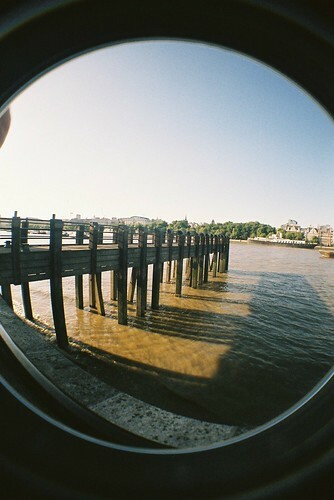 That's regular fisheye. 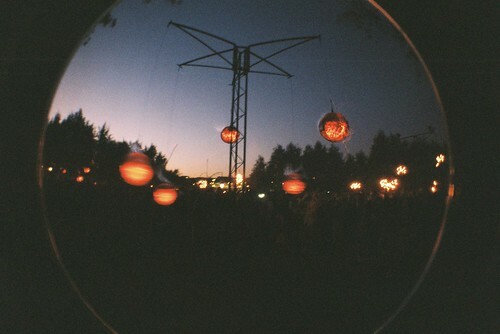 This is extreme fisheye! The above image was produced by Paul Bourke at the University of Western Australia, using the photo below and specially developed software called sphere2fish. Some wacked out visual delights for you. Have you ever sought a place where the latest gadgets meet photography whilst running head-on into anime mixed with graphic design? These are the topics on which the foundations of this site were born. Just as the areas on which it is focused change, so is digitally unlimited in a constant state of flux. Not only does the site grow with changes in culture, technology and the arts, but so in turn it changes to reflect the interests of those that visit the site. Where it becomes apparent that some areas have grown in popularity, then those will become greater parts of digitally unlimited. // tech // Nothing surpasses coming across new technologies, understanding how they can improve our lives and price permitting, becoming an early adopter. These gadgets will be shared here. // photography // As an avid amateur photographer, the most inspiring use of any spare moment is checking out the work of photographers who actually know what they are doing. In addition, the kit that takes the photos can be pretty interesting in itself. // on screen // Don't think all blockbusters, all the time. This section is devoted to the cult niches of cinema. This includes things like anime, non-English language cinema and cult C-grade films. // art // Design, all forms of visual art and things that are generally visually pleasing and inspiring -- this is the place to find them. Everything from architecture to cartoons to photoshop genius. Call me mookie. For a long time my creative juices have flown when I'm engaged in viewing/reading about/creating one of the abovementioned things -- so I decided that it was time to share my passions in one place, in the hope that there are others out there who share a similar combination of tastes. Clearly the descriptions above are far too vague to reflect a fair dossier of what digitally unlimited is all about. Rather, it is probably best to browse the site and see what takes your fancy. Importantly, if you do get excited by something, make a comment on the relevant post -- let others share in your own distinctive opinions. If you have ideas for other concepts that could be added to the site, or you have some art of your own that you'd like added exposure for, feel free to email me -- all contact is appreciated.